Every now and then we do a custom wallpaper job that’s close enough to home to visit. 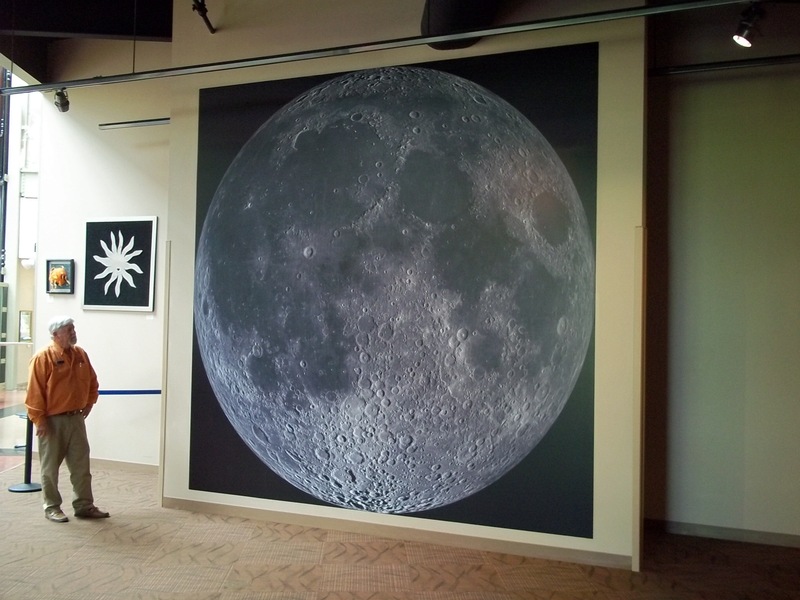 We did this job for the McAuliffe-Shepard Planetarium in Concord, NH. When we had it laid out on the floor in our shop we thought it was pretty cool. On the wall in the planetarium, it is absolutely spectacular! Some of it is the quality of the photo, which I imagine is courtesy of NASA. It was of terrific quality and fantastic detail even at the 12×12 foot size. We printed it at 720 dpi on smooth wallpaper. It was also installed beautifully by Gerald Poirier of Chester NH. The seams are just about invisible and perfectly aligned. All in all, it is one of the best jobs we’ve done and it’s great to have it so close to home! This entry was posted in Custom Printed Wallpaper and tagged custom wallpaper, grayscale wallpaper, museum wallpaper. Bookmark the permalink.